Special CFA discount! $200 off your attendance! Being a US Citizen or Green Card holder has never been more challenging when inter- facing with the rest of the world. People generally like Americans but not our Government. No other nation is more generous and philanthropic in its giving to the rest of the world and no people has helped others to secure freedom, liberty and economic prosperity more than the US of A. But now, our Government has alienated itself from much of the rest of the world. Even our friends and allies have concerns and misgivings about the American Government. It has become the 800 pound gorilla in the room that literally nobody trusts or with which anyone wants to do business. Our own Government dictates laws and regulations such as FATCA which impacts over 120,000 financial institutions outside the US. These institutions can comply with the regulations by spending hundreds of thousands or even millions of dollars a year to become the financial police, overseeing their US customers, or they can comply far easier and with literally no cost by simply closing their doors too Americans.‎ An increasing number of financial institutions have chosen the later. It’s not just banks….brokerage firms, insurance companies, trust companies, real estate firms, non US publicly traded companies….the list goes on and on. It’s an enormous “hassle” in this day and age to do business with Americans‎ and many foreigners are shying away or completely stopping business with Americans at all. So what is an American to do who wants to invest abroad, protect their assets, hedge against the dollar, or buy foreign real estate? We didn’t select Vienna for this event just because it is absolutely beautiful and ranked one of the best and most livable cities in the World. As the birthplace of “Austrian Economics” and sound money, Vienna serves as a beacon to both Governments and individual investors as to how one should spend, save, invest and steward wealth. We’ll explore real world solutions at both the macro and micro economic level. You’ll also have an opportunity to meet with incredibly knowledgeable experts, advisors and professionals from North and South America, Europe (East and West) as well as the fast growing regions of Asia. Some of these experts who have agreed to attend this year are so in demand that they asked me not to mention their names publicly in our conference promotions as they don’t want you coming just to meet them. In fact a few who I have convinced to come won’t normally even speak publicly at all. But they have all agreed to come to my “private” and “non-recorded” event to meet with a small group of my like-minded clients. Be one of the first twenty attendees to register for this year’s event and you’ll receive a “bonus” private city tour of Vienna from Peter Zipper‎, President of Caye International Bank, and native of Vienna. I hear he’ll stop on his tour for coffee and “Sacher Torte” in one of Austria’s most famous gathering spots. The Lindman Café, where the likes of Ludwig von Mises, Friedrich Hayek, Sigmund Freud, Johann Strauss, Gustav Mahler all held court with their friends. Experience the “real” Vienna the way only a local can show you. Whether your goal is to diversify your assets internationally, start or grow a business abroad, access non US financial institutions and investments, obtain a second citizenship or residency, or just create a “safe haven” nest egg overseas in “case”….the “Global Access and Continuity Conference”‎ is for you. The event will kick off Sunday evening with a cocktail ‎reception and dinner. Monday through Friday, we’ll have a great mix of speakers in the morning with structured activities‎, private appointments and leisure time in the afternoons. Wednesday, September 21, 2016 we’ll experience a wonderful Danube Valley River Cruise seeing some of the most historic and beautiful castles and scenery that Austria has to offer. Saturday morning we’ll wrap up the conference, but leave extra time for meetings with the speakers of your choice. Some of these speakers charge as much as $2500 for a private consultation, but each attendee will have an opportunity to‎ sign up for three professional consultations as part of their conference registration on a first registration, first serve basis. Reserve your early place in line for consultations as well as the bonus Vienna City tour with Peter Zipper, by registering today. Putting on overseas events such as this are time consuming and logistically challenging. I believe, however, that this type of event is an absolute necessity in combating the forces of isolation and restrictions that seem to grow for Americans day by day. I hope you’ll join a very special group of libertarian, successful and like-minded folks (both speakers and attendees) looking to steward and protect their hard earned wealth and expand their investment options in an era of government encroachment, limitations and restrictions.‎ It’s still perfectly ethical, legal and moral to take these actions now to protect yourself and to protect your family. But like the frog in the pot of ever so slowly heating water, the time to take action is now.‎ The day may come in the not so distant future when this type of legal, financial and estate planning is abolished; when capital controls block outward currency movement…when the dollar’s reign as the world’s reserve currency ends. When that day arrives, the frog in the pots has been boiled alive and the time for planning will be over. It has happened to every other paper currency in history and we’d be arrogant and foolish to think it “can’t happen to us”. Take this opportunity to attend the “Global Access and Continuity Conference”. 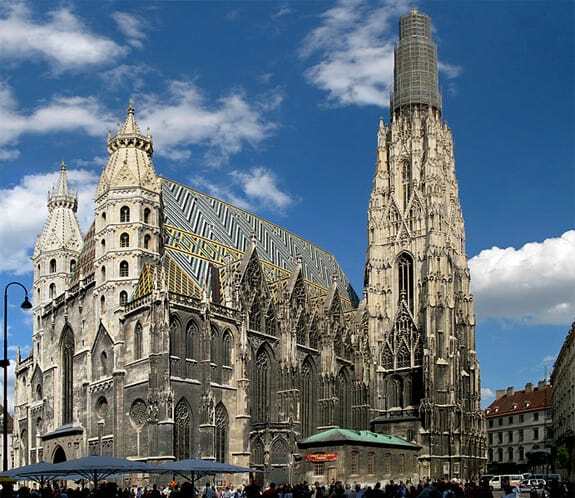 You will thoroughly enjoy yourself experiencing Vienna and all it has to offer while you build, protect and ‎steward your wealth. You’ll ensure now that the financial and legal doors won’t shut on you and your family in the future. While the contacts you make and the peace of mind you’ll gain from attending the “Global Access and Continuity Conference” are truly priceless, the early bird registration cost of this event has been set at just $2199 for a single and $2999 for a couple‎. After June 1, the cost will increase to $2499 and $3499 respectively. Registration includes all conference materials, meals, cocktails, events, private consultations and the Danube day cruise, and all transportation during the event. Registration does not include airfare, transfers to/from the hotel‎, alcoholic beverages or hotel accommodations. A discounted block of rooms have been negotiated at one of Vienna’s most famous, luxurious and centrally located hotels. For privacy and security purposes, the conference hotel information itself will only be provided to conference registrants at the time of registration. Once disclosed, we ask that you keep this information strictly confidential for the privacy of our speakers and attendees. I hope you’ll join me for one of the best asset protection and investment conferences of the year, the “Global Access and Continuity Conference”, September 18 – 24 in Vienna, Austria. Register now as space is strictly limited and this event will sell out quickly. I look forward to seeing you in person in the heart of the old Hapsburg Empire, Vienna, Austria! I’d Like To Receive More Information About The Conference!